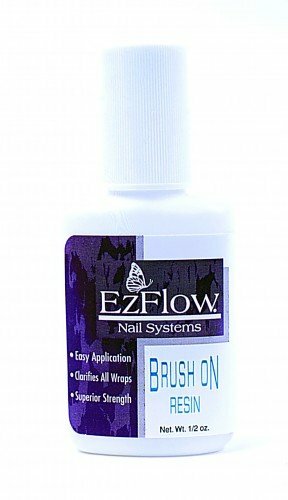 EzFlow Brush On Resin replaces conventional resins for greater control during fibreglass and tip applications. It fills in all uneven surfaces, which prevents air bubbles and is thick enough that it will not run. Medium, superior viscosity for strength and clear finish, easy brush on applicator in no mess, spill-proof bottle.